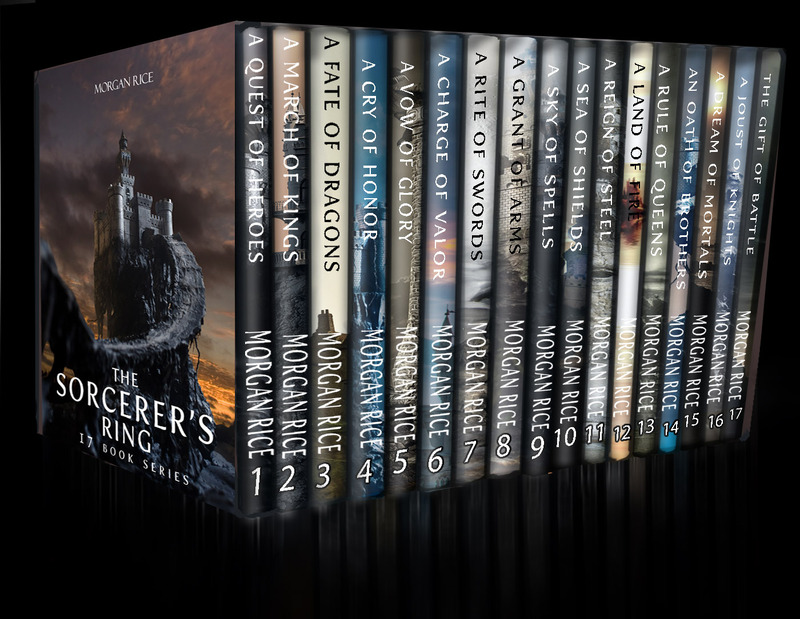 The complete bundle of ALL 17 books in Morgan Rice’s #1 Bestselling fantasy series THE SORCERER’S RING! These 17 novels, all in one convenient file, take us through the entire cycle of the SORCERER’S RING. Over 1,000,000 words of reading, all for an incredible price, it makes a great deal and the perfect gift! All 17 books in the Sorcerer’s Ring are also available individually!